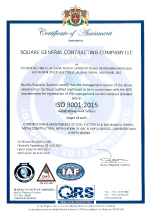 Square General Contracting Co. l.l.c. 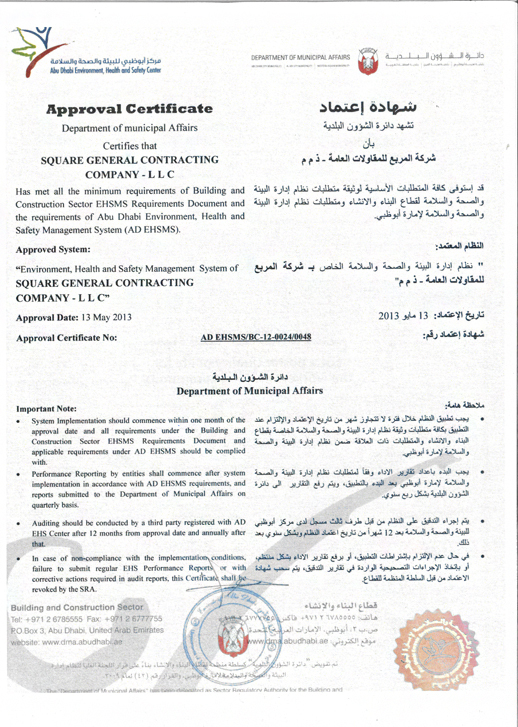 Square General Contracting Co LLC is a leading contracting company with four decades of experience in diverse areas of construction having Special Grade for all kind building projects contracting.We at Square are proud to be leaders in the field of building construction, and hence the development of the United Arab Emirates as a whole.SGCC was initially set up to handle small projects and over the years, it has evolved into a company capable of handling the largest of turnkey projects. 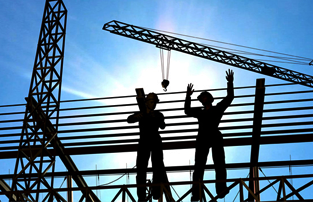 We are committed to quality and safety. 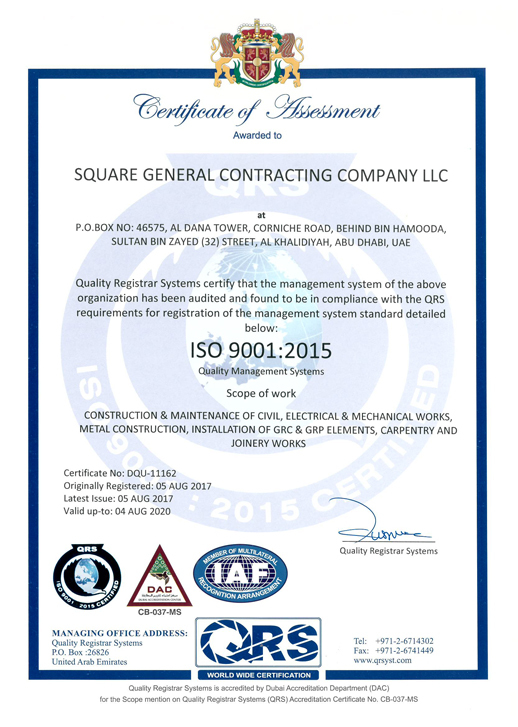 This commitment was affirmed when we were awarded the ISO 9002:1994 Certificate for “Construction and Maintenance of Civil, Electrical & Mechanical Works” and updated the same to ISO 9001:2000. 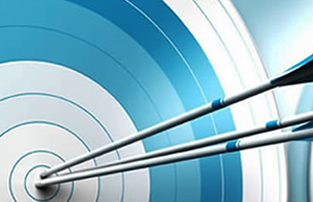 Subsequently we have been awarded ISO 9001-2008, OHSAS, and ISO14001-2004 certificates for Quality Management System, Management System and Environmental Management System. 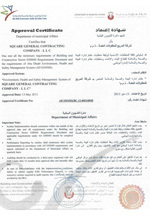 SGCC has also certified of Environmental Health and Safety Management System (EHSMS) among the few companies in UAE. 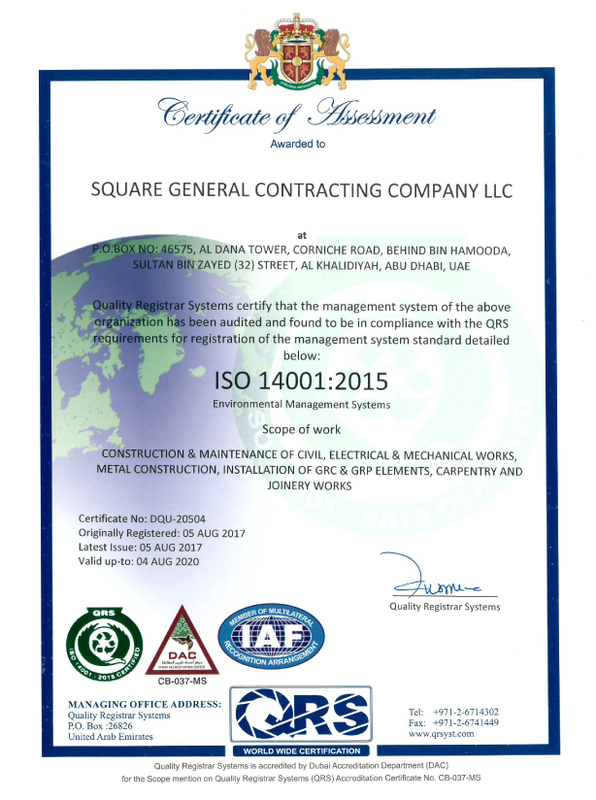 Our vision is to be the best and most respected construction, and building products, company currently..
At Square we value teamwork, integrity, mutual respect, initiative, innovation and loyalty. Our team is dedicated.. 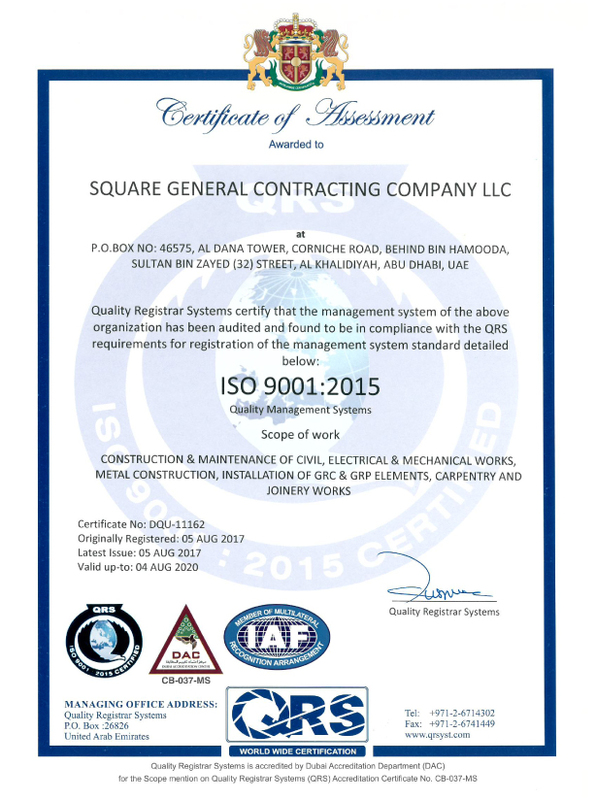 The management of Square’s dedication to quality and efficient management has led us to becoming one of the first companies in the UAE to earn the ISO9001:2000 Certificate for..